When people move into their first management role it is big shift into a role where their expertise is no longer their technical skills but in their ability to work with others. I have observed that some team leaders just hope that the team will look after itself and get on with their technical work. This is often one of the causes of complaints from team members about their team leader not listening or caring. Traditionally a short “Introduction to Team Leading” course might be offered but the difficulty was this was the although the course was enjoyable the learning was rarely reinforced. This is why it helps to create some blended learning options that will combine input of new skills and knowledge with practical work tasks. This simple diagram shows how three elements can sit together to provide a richness of learning. The final design is often a bit more complex than this because it can involve on-line elements, self assessment and peer assessment. 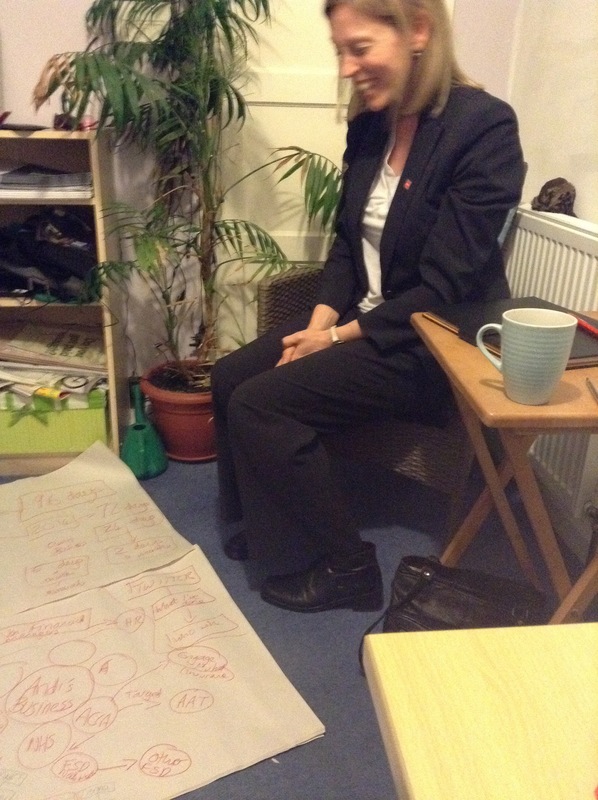 It is a real benefit to bring a group of team leaders together to work on a learning programme. By sharing their experiences with each other they discover that they are not alone in finding it a challenge to make the transition into management. It is sad that so much more investment is provided for senior leadership development when the people who often have more day-to-day contact with employees get neglected! focus on the topics of current concern to your team leaders in your business – ask them what they want to cover, don’t just accept a standard menu of items. make sure your senior management team are role modelling the behaviour they want from the team leaders! 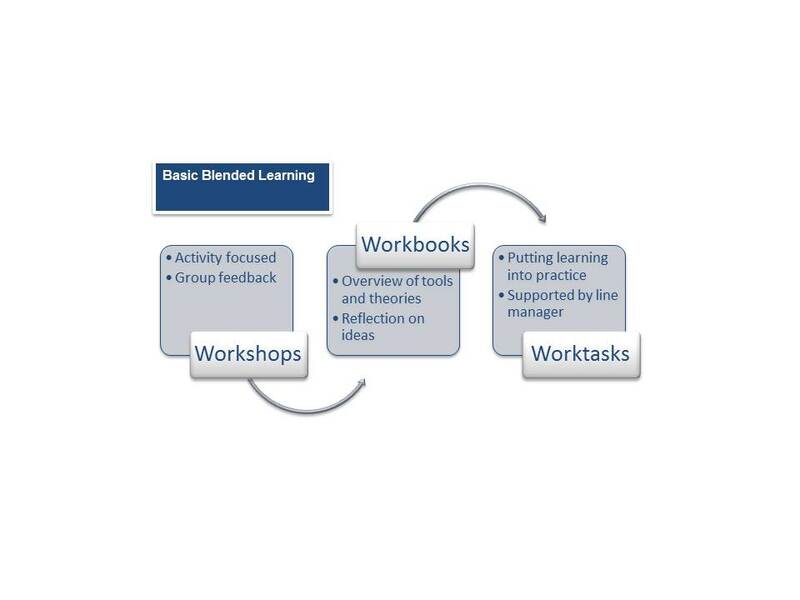 You can follow-up this article by reading an outline proposal for a blended learning programme. Four months ago in the middle of a really full intense period of work I was asked by another member of Otley Cycle Club to be her mentor to support her to develop her own training business. I wondered how I would find the time and agreed to do in exchange for tea and cake and on an informal basis because I really liked her and wanted to help. At the time my main focus was about what I could offer as a mentor and whether I would have the time and relevant insights to support someone else. I did not really see it as something that would benefit me. Choose who you work with – I genuinely enjoy spending time with A so when the mentoring appointment pops up on my diary reminder I find myself looking forward to the appointment. Liking the person you are mentoring just makes the whole thing so much easier. Focus on Listening First – this is so easy with A, she talks me through all the latest projects she is involved in and I find it is so much better for me to pick out the themes at the end and not to force an agenda on the conversation. Share Experiences not Solutions – I avoid telling A what she should do but I do share my experiences of similar concerns and how I have dealt with this. One experience was about planning work and holidays into the diary so that you take time away from the business. I shared an experience of my worst holiday/work conflict and my learning from this. A took that away and develop a solution that she felt would help her avoid the same problem. Make Your Own Action Plans – usually the focus is on what actions the person who is being mentored will take but as a change why not think about what you are going to do. I have made a note of a number of actions I intend to take, including to stop moaning about the demands of international work and embrace the experience again! So if someone asks you to consider mentoring them and you like them, say yes. The time you invest will be returned to you with profit! When do we know it is time to learn new tricks?